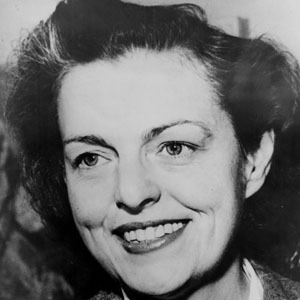 Actress and politician who was the representative for California's 14th district from 1945 to 1951. She was the first Democratic woman elected to Congress from California. She was a popular Broadway star in the 1920s. Her love affair with Lyndon B. Johnson, then still a Congressman, was an open secret. She married the actor Melvyn Douglas. She was reportedly the inspiration for the Evil Queen in Walt Disney's "Snow White and the Seven Dwarfs."